The International Network of Engaged Buddhists (INEB) concluded its biennial conference on November 4 in Kuala Lumpur, Malaysia, our first such meeting in a Muslim-majority nation. The conference theme — Inter-Faith Dialogue for Peace and Sustainability — points to the interdependence of Buddhists and Muslims throughout Southeast Asia. A long history of harmonious relations across all the nations of this region has been challenged in recent years by inter-religious conflicts rooted in a complexity of economic, political, social, and cultural tensions. INEB’s mission is to respect the integrity of all religions and people, restoring harmony wherever possible. A significant outcome of this unique gathering was the affirmation of the establishment of an international forum for Buddhist-Muslim relations, drawing from members of INEB and Malaysia-based International Movement for a Just World (JUST). At the close of the conference, a special session brought together Buddhist monks and laypeople, Muslims, and concerned friends from inside and outside Myanmar to consider conflicts and violence that have taken place inside that country over the last two years. Participants in this session, including people of four religions and from interfaith partners inside Myanmar, called upon this interfaith forum to establish a fact-finding commission to examine relations between Buddhists and Muslims in Myanmar. 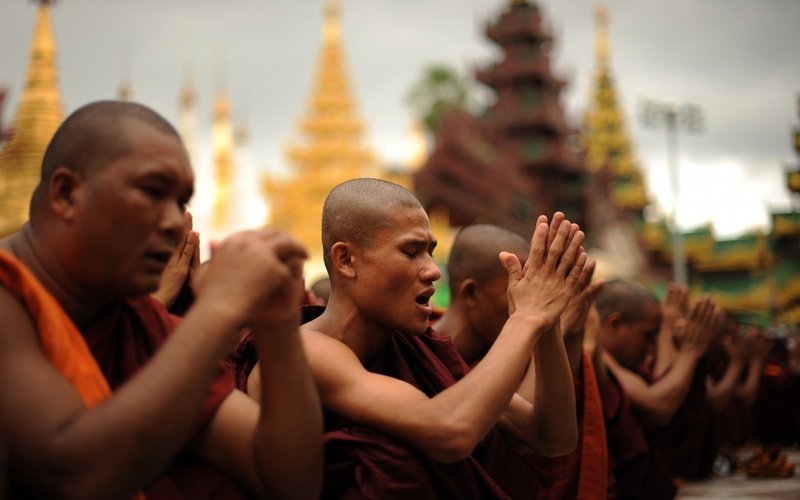 Guided by these objectives, an open-minded interfaith group will research conditions inside Myanmar and offer advice and support for the restoration of inter-religious and inter-ethnic stability. Members of INEB see this work as the embodiment of our vision of peace and sustainability across the region and among all peoples.